Nemanja Matic has dismissed the notion that Jose Mourinho is on the brink of yet another managerial crisis, insisting the Portuguese “knows what he is doing” at Manchester United. Mourinho’s position at Old Trafford has fallen under intense scrutiny in recent weeks, with United already six points off the pace after suffering two defeats from their opening four games. 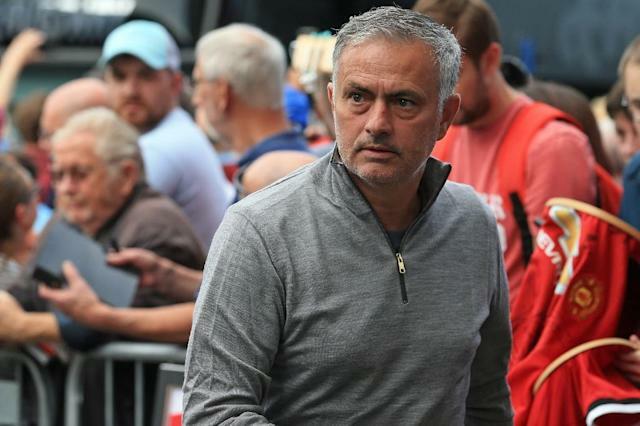 Speculation over Mourinho’s strained relationship with executive vice-chairman Ed Woodward has added to the sense of unease surrounding the club and its fans, a small number of whom paid for a flyover protest against Woodward during Sunday’s 2-0 win against Burnley. But following victory at Turf Moor, which saw Romelu Lukaku double up against Sean Dyche’s men, Matic has insisted that all is well at Manchester United under Mourinho’s tenure. The Serbian also rejected suggestions that Mourinho’s mood has darkened at Old Trafford this season. Looking forward, Matic said that United could not afford any further slip-ups but added that it was “impossible” that league leaders Liverpool would not endure their own setbacks on the pitch. READ MORE: What can Pellegrini do to turn around West Ham’s fortunes? Matic added that he was happy with the result against Burnley, which returned United to winning ways after back-to-back defeats.